Besan Payasan is simple, handy and light dessert which can be prepared in a jiffy. 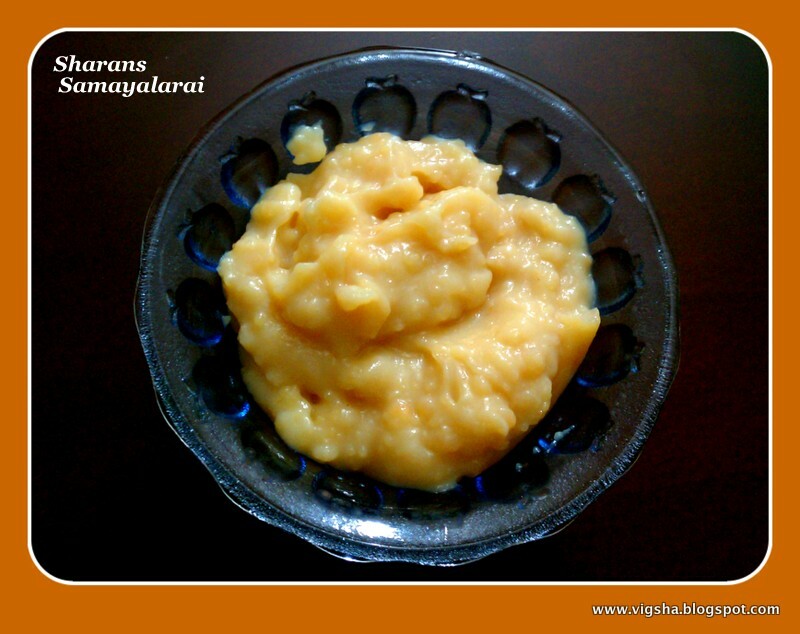 I prepared this payasam on 2nd day of Navarathri. 1) . 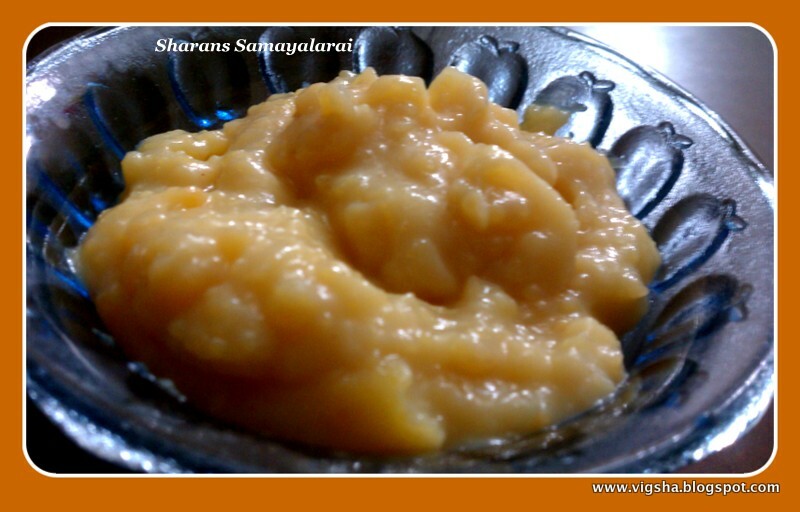 Heat 2tablespoon of ghee in a pan on a low flame. Roast besan till it becomes golden brown and nice aroma comes. Cool and keep it aside. 2). 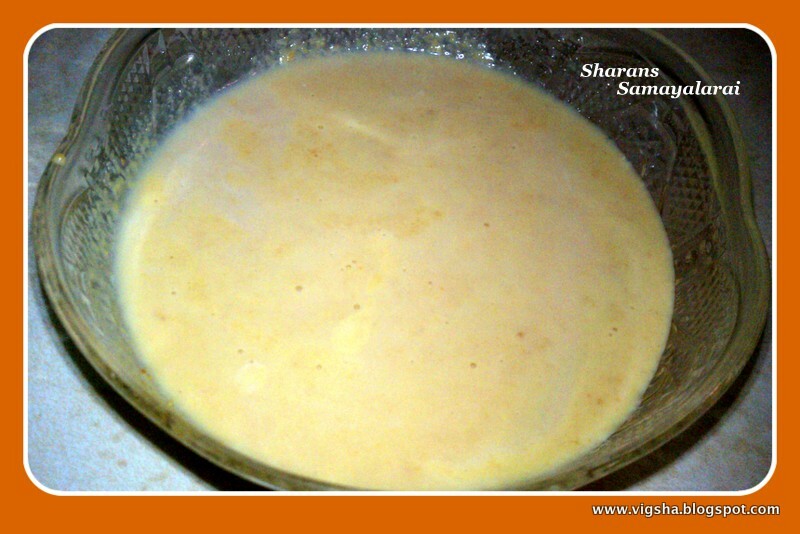 Add 1/2 cup cold milk ( little by little ) to the above roasted besan and mix well without any lumps. 3). 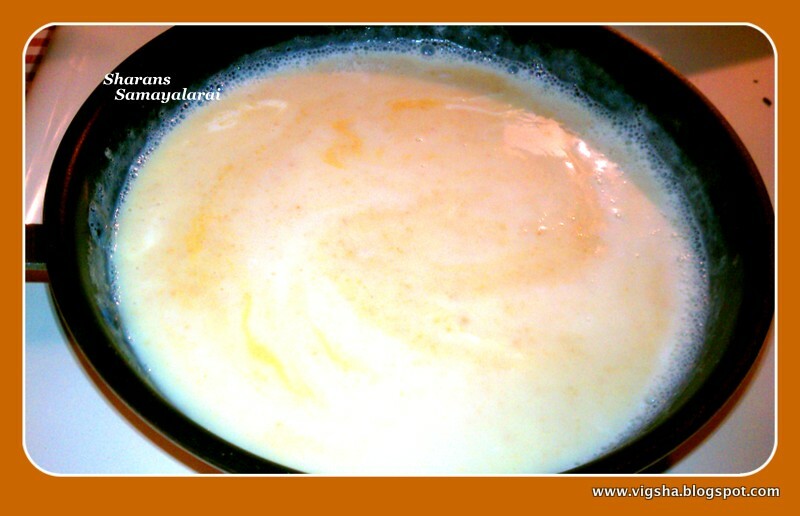 Heat the remaining milk in a pan, when it starts boiling add the besan mixture and stir well to avoid forming of lumps. 4). When the besan gets cooked and starts to thicken, add the sugar. The sugar will melt and dilute the mix. Stir till sugar dissolves and blends together. 5). Add the cardamom powder and serve hot/cool. # Adjust the quantity of sugar according to your sweetness level. But It tastes good when the sugar is more so feel free to add. 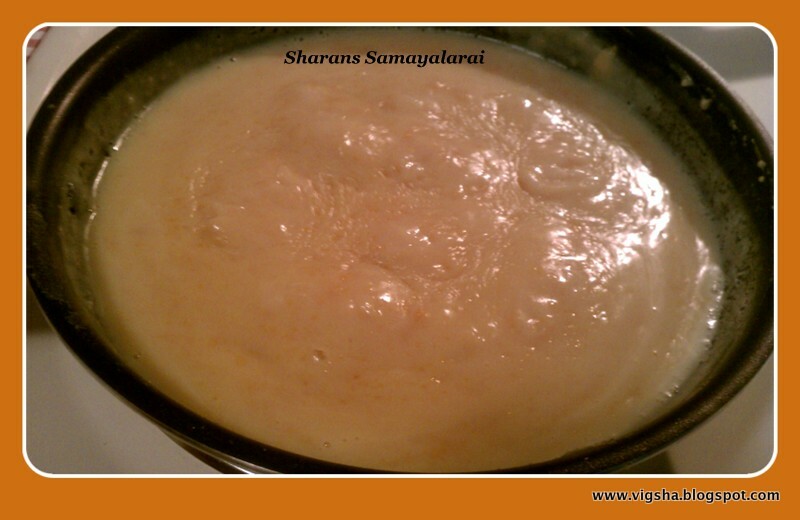 # You can enrich the payasam by adding ghee-roasted cashews and raisins. # Keep stirring throughout making the recipe to avoid lumps. 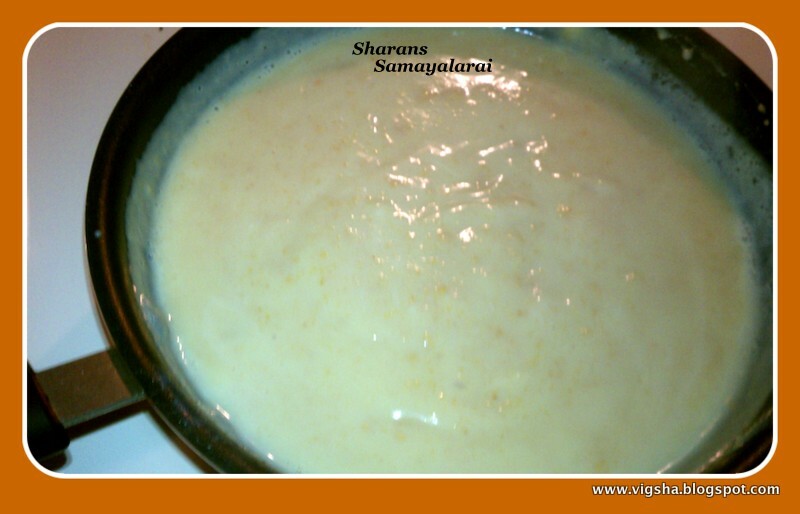 # Payasam will become thick after cooling. 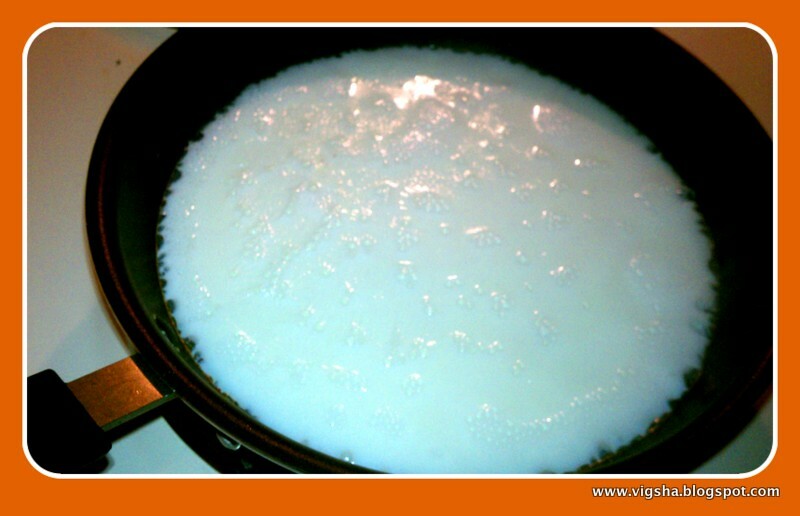 Add milk and dilute if required. Sounds new n delicious too!!! Havent prepared this kheer since a long, love this flavourful kheer. Very innovative and interesting, never had besan payasam.